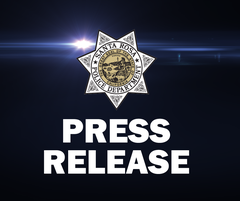 Santa Rosa Police Traffic Investigation Team has arrested the suspect driver in the fatal hit and run collision at Highway 12 and Middle Rincon Road on 3/15/2019. Suspect Daniel Joseph Bazzoli, a 42-year-old Santa Rosa resident, voluntarily turned himself in yesterday afternoon. Bazzoli was interviewed by Accident Investigators about the collision and allowed investigators access to his vehicle. 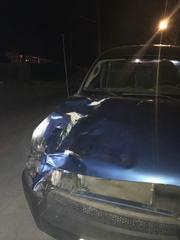 It had damage associated with the collision. Suspect Bazzoli was arrested for violation 20001(a)VC, Felony Hit and Run. He was booked at the Sonoma County Jail. 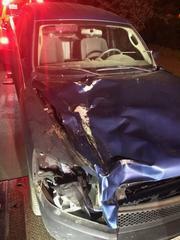 The victim of the collision has been identified as Michael John Campbell, a 25-year-old resident of Santa Rosa. On 3/15/2019 at 1:20AM, a Santa Rosa Police Officer was flagged down by a citizen on westbound Highway 12, west of Middle Rincon Rd. The citizen reported a man lying, unconscious, on the westbound shoulder of Highway 12. The male subject appeared to have been struck by a vehicle, but the vehicle had fled the scene. The male, who will not be identified at this time, was pronounced dead on scene. The SRPD Accident Investigation/Traffic Unit took over the investigation. From evidence obtained on scene, we are asking the public's help to locate a blue, 2006 Mitsubishi Raider pickup truck. The truck will be missing a front passenger headlight and front grill. Anyone who sees a vehicle matching this description is asked to contact the SRPD Dispatch Center at 707-528-5222. Anyone who witnessed the collision or has information that might assist in locating a suspect, can also contact Officer Jeff Adams at 707-543-3636. Thank you in advance for all your assistance.